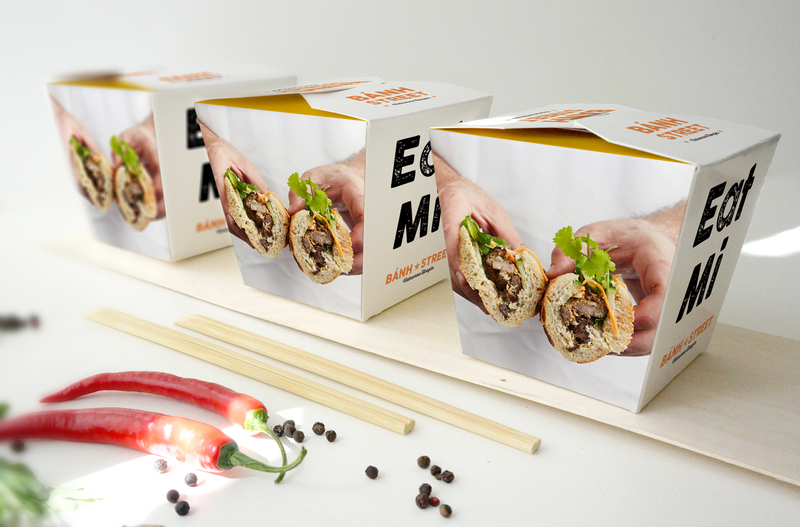 The bánh mi sandwich is the fastest growing food trend in the U.S. But in Philadelphia, you don't carefully pair the finest ingredients with homemade sauces, place them on a crusty long roll and call it a "sandwich." 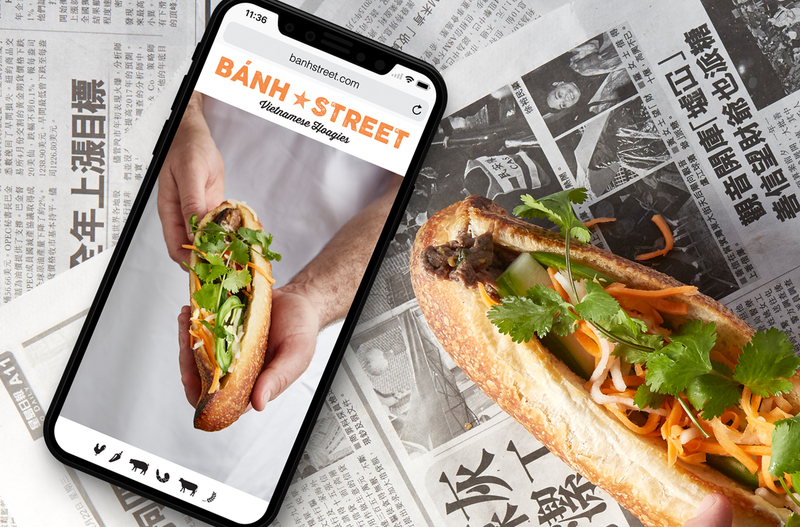 That's how we came up with the the name Bánh Street Vietnames Hoagies. To launch this fast-casual concept, Little Warrior created a fresh, simple brand look that puts the delicious looking food in the face of the consumer, inviting them to dive in. 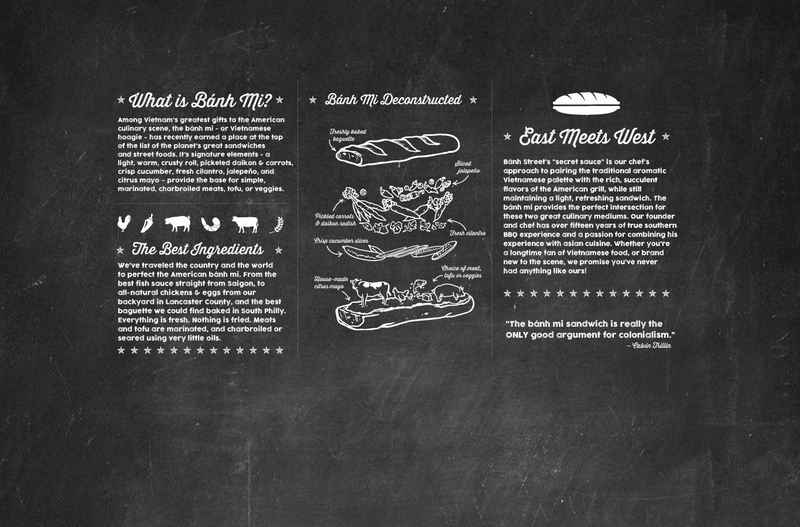 With bánh mi being a relative newcomer on the food scene, the founders felt that it was important to educate the consumer, so we built a chalkboard "primer" which deconstructs the hoagie, both in-store and online.